Will go on sale in the UK in Spring 2017 (March-May 2017). 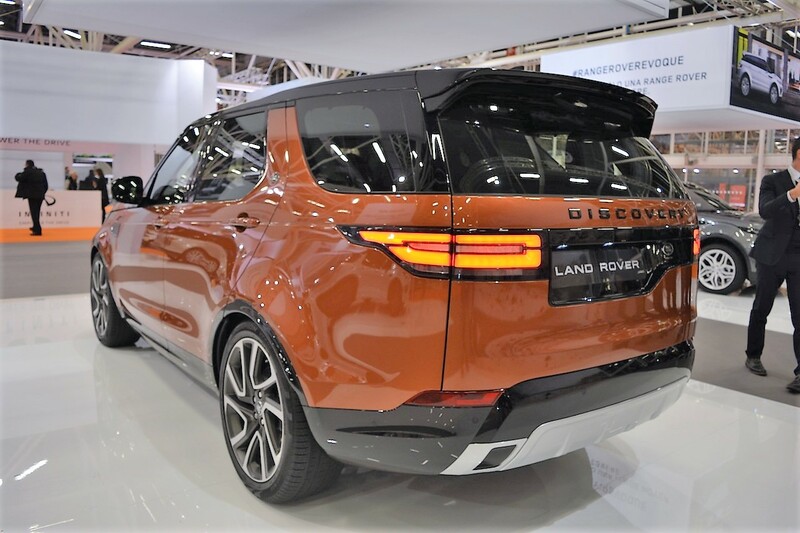 Land Rover is showcasing the 2017 Land Rover Discovery, which had its world premiere at the 2016 Paris Motor Show in September, at the 2016 Bologna Motor Show in Italy. 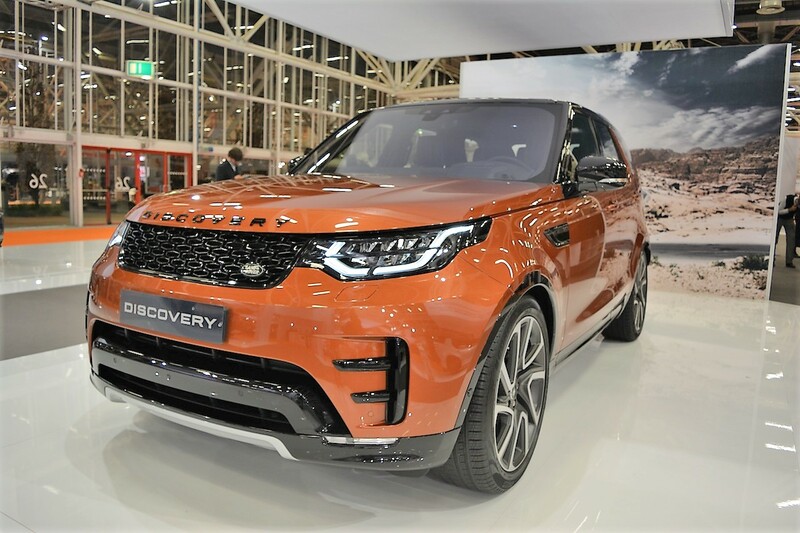 Derived from the Land Rover Discovery Vision concept, the fifth generation Discovery measures 4,970 mm in length, 2,220 mm in width (with door mirrors open) 1,846 mm in height, and has a wheelbase of the 2,923 mm. The mid-size SUV is still a three-row vehicle, and retains the trademark stadium seating and unique stepped roof. The 2017 Land Rover Discovery will be available with 340 PS (335.21 hp) 3.0-litre supercharged V6 petrol, 180 PS (177.47 hp) 2.0-litre Ingenium turbocharged four-cylinder diesel, 240 PS (236.62 hp) 2.0-litre Ingenium twin-turbo four-cylinder diesel and 258 PS (254.37 hp) 3.0-litre turbocharged V6 diesel engines internationally, in conjunction with an 8-speed automatic transmission. The 2017 Land Rover Discovery's highlights are, Adaptive LED headlights, LED daytime running lights, LED tail lights, 22-inch wheels, full glass (fixed/front opening) panoramic roof, head-up display, 5-inch driver information display inside the instrument cluster, three-zone automatic climate control system, 10-inch InControl Touch Pro touchscreen infotainment system and 17-speaker Meridian audio system. The 2017 Land Rover Discovery will be made in Solihull, and its deliveries in the UK will start in Spring 2017 (March-May 2017). Its Indian launch will likely happen late next year.